$1.00 non-refundable member activation fee charged at time of order. Today's TransUnion credit score and report delivered in seconds! Click to communicate with and resolve issues directly with your creditors. Because so many different credit scoring models are used, there is no single "good" credit score. Far more important than the number is how you rank on the particular scale being used. 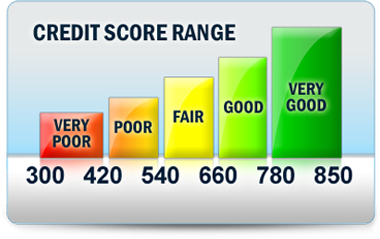 Because scoring models in general take the same things into consideration (primarily the information on your free credit report), a good credit rating on one scale will usually translate to a good credit rating on another scale. Under federal law you have the right to receive a free credit report from each of the three nationwide consumer reporting agencies once every 12 months from AnnualCreditReport.com or by calling 877-322-8228. However, a free credit score is not included. Since information in your credit file can change frequently, it can be a good investment to keep tabs on your credit score and credit report more frequently by using a credit monitoring service. Copyright © www.MyFreeScoreNow.com. All rights reserved. MyFreeScoreNow.com is operated by MyFreeScoreNow Inc.